Fact: Play is an essential ingredient to support children to think and make sense of the world around them. 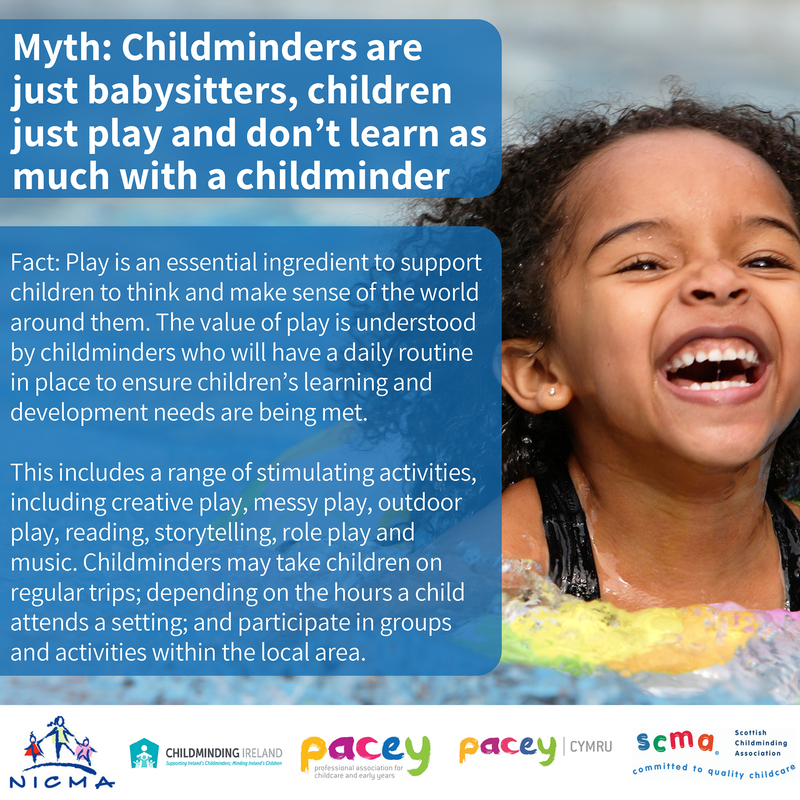 The value of play is understood by childminders who will have a daily routine in place to ensure children’s learning and development needs are being met. This childminding myth, along with other negative assumptions about working in childcare can be frustrating for childminders, who know only too well the commitment and dedication that goes into the work they do.